Professor Gilles Klopman was the founder, President and CEO of MultiCASE Inc., a brilliant scientist, teacher, inventor, successful entrepreneur and above all a great human being. His stellar career spanned more than 50 years with groundbreaking work in organic and theoretical chemistry, artificial intelligence, computational toxicology and QSAR. In the 1960s, he designed and programed some of the first semi-empirical quantum chemical methods. In the early 1980s, he invented the use of machine learning and artificial intelligence to predict toxicity of chemicals that led to the development of the computer programs CASE and MultiCASE which redefined the field of computational toxicology. One of the earlier research interests of Professor Klopman was the evaluation of chemical reactivity. He made seminal contribution in this area. His description of the concept of charge and orbital controlled effects on the transition state is now widely used. He published a paper in 1968 and was a significant event in the development of the theory of chemical reactivity: "G. Klopman, Chemical Reactivity and the Concept of Charge- and Frontier Controlled Reactions, J. Am. Chem. Soc., 90(2), 223-234, 1968". He also did pioneering work in the development of computer algorithms for semi-empirical quantum chemical methods mainly PNDO and MINDO. Professor Klopman's earlier work and interest in the chemical reactivity naturally lead him to the study of the relationship of chemical structure and their biological activity. He spent majority of his time as a chemistry professor in the Case Western Reserve University in performing important research work in this area for nearly 50 years. He and his group was mostly interested in the quantitative structure-activity relationship of carcinogenic and chemotherapeutic agents. During this time he published hundreds of important research papers on this subject. As a professor, Dr. Klopman developed techniques based on machine learning and artificial intelligence to correlate biological data and developed two of the most important computer programs to be used in computational toxicology - CASE and MultiCASE. The importance of these two programs can not be overstated. They became very popular with the regulatory agencies and pharmaceutical companies very early on and practically launched the era of computational toxicity assessment of drugs and chemicals. Using these algorithms, for the first time, it became possible to automatically identify chemical features (biophores or alerts) that are responsible for toxicity without taking help from human experts. Many concepts of toxicity prediction used today were invented by Dr. Klopman, for example, mitigating or deactivating factors of toxicity alerts, uncovered features etc. He also developed many techniques of handling and storing chemical structures that today we take for granted. Dr. Klopman was a professor and a scientist above everything else. He spent nearly 50 years as a full professor. Positions include Charles F. Mabery Professor of Research in Chemistry, Oncology and Environmental Health Sciences Director of the Laboratory for Decision Support Methodologies at Case Western Reserve University in Cleveland, Ohio, and Adjunct Professor of Environmental and Occupational Health, University of Pittsburgh. 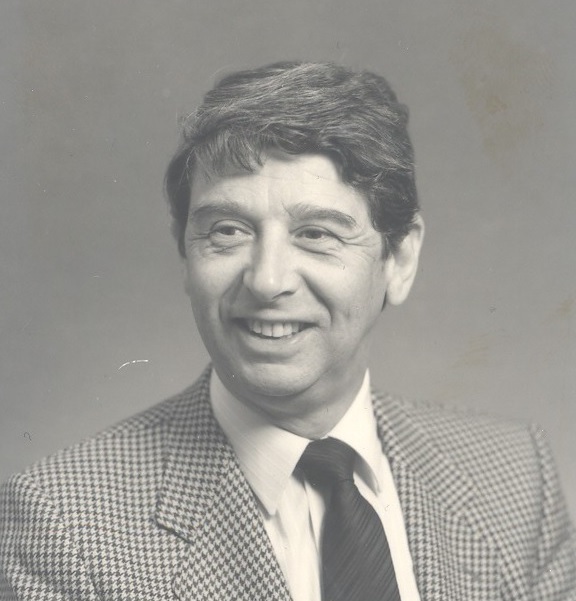 Dr. Klopman mentored many doctoral and post doctoral students and valued original thinking, curiosity, enthusiasm, risk taking and above all - happiness. He never turned away anybody in need of help and believed in giving opportunity to people. He loved music and was a long time supporter of Cleveland Orchestra. His inventions and scientific research truly have a tremendous impact on peoples lives in the form of safer drugs and chemicals. He will be missed by many.